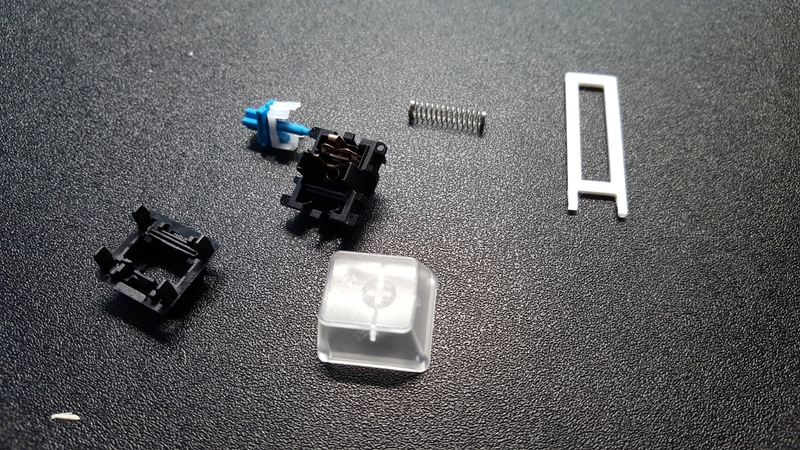 Continuing my series of obsessive keyboard building (much to the amusement of several friends and co-workers), I thought I'd conduct an experiment.- I wanted to try silencing a Cherry MX switch. "Wait, but you love that sound!" I hear you saying. Well, yes. I love the click, but the plastic-on-plastic clack, not always so much. I just thought I'd try it out! 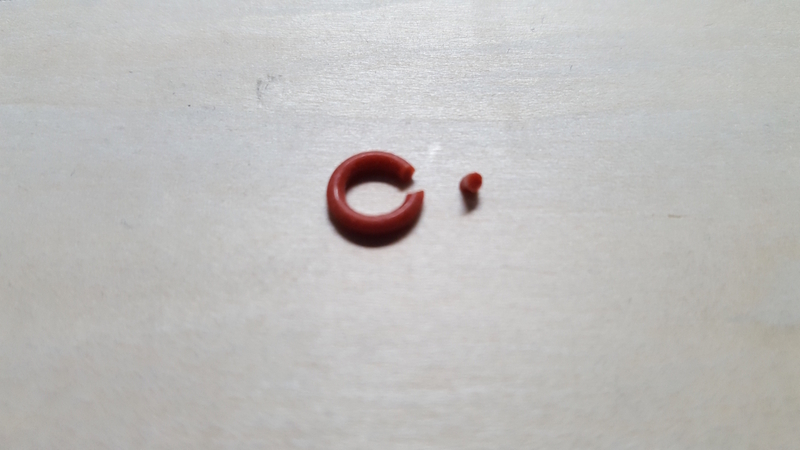 Next up, I needed a tiny piece of rubber to act as a cushion, so I cut out a small piece from this o-ring. 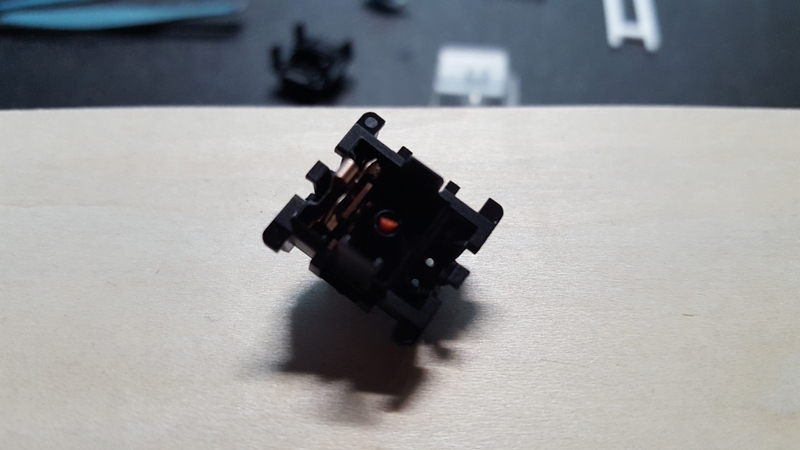 That piece goes into the bottom of the stem guide inside the lower switch housing. 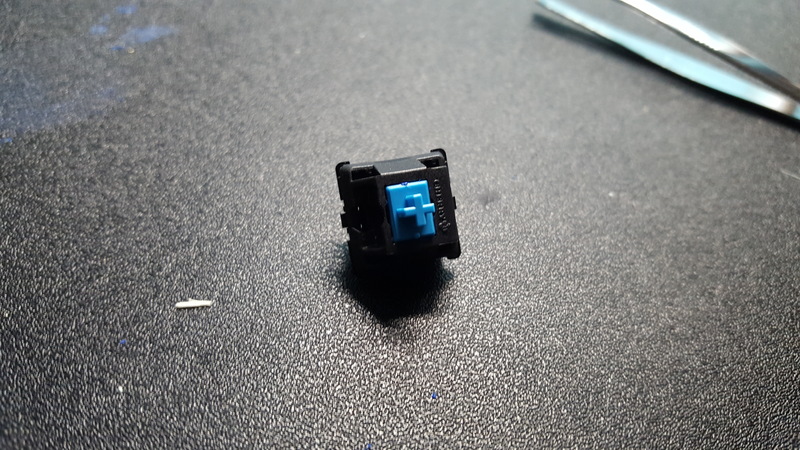 This is what the stem goes down into when the key is depressed and it's the stem hitting the bottom of the case that causes the loudest clack. Next, it was time to dampen the sound made when the switch comes back up and the top of the switch mechanism strikes the top of the case. If you're doing this for real, you should use liquid latext, but I didn't have any and was doing a temporary test, so I brushed on a little Plasti-Dip. 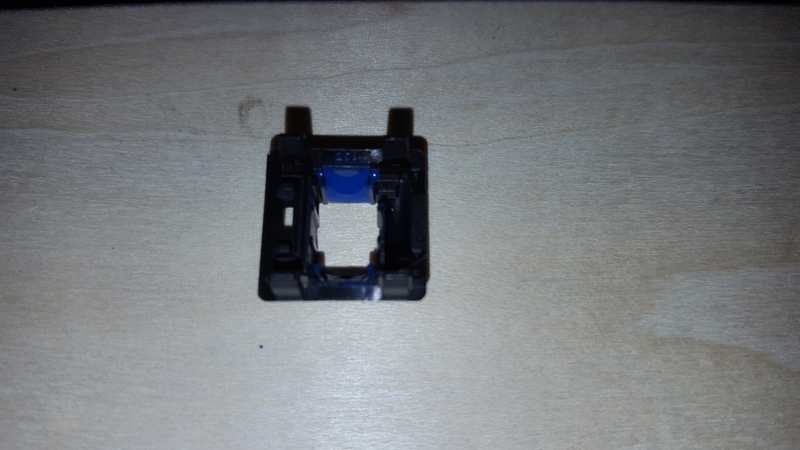 Let that dry good and reassemble, and the result was a much quieter switch. All you could really hear was the click of the switch itself actuating. This mod definitely works. That said, it's also incredibly tedious. In the end, I decided that, while it works, it's just not worth the effort in my case, especially given my eyesight.